MD of Ranchland No. 66 via Alberta Emergency Alert (11:39 am) - A serious wildfire continues to affect the Chimney Rock Road area of the MD of Ranchland. Heavy smoke remains in the area and is affecting visibility and creating hazardous road conditions. Fire resources are actively working on or near Highway 22 and Chimney Rock Road. As of 10:00 a.m. today Highway 22 is open. Chimney Rock Road remains closed. There remains a mandatory evacuation order for residents on all of Chimney Rock Road and south to Highway 520 on the west side of Highway 22. This is an evacuation alert for residents north of Chimney Rock Road to Highway 533 on the west side of Highway 22. Residents evacuating please call the MD office 403-646-3131. Crowsnest Pass RCMP (11:00 am)- The wildfire burning in the MD of Ranchlands remains out of control. Improved conditions have resulted in Highway 22 being re-opened for travel. Re-entry to the evacuated area is taking place today. Landowners may obtain a permit from the MD office at Chain Lakes which will authorize re-entry. 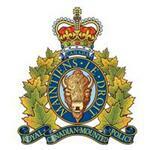 Those individuals who obtain permits and return are asked to do so via Chimney Rock Road where RCMP will check permits. At this time, there are no reported losses of structures due to the fire. Conditions remain very dry with an extreme fire risk in the area.